I was a GHD straightener addict. The ends of my hair were always in need of a trim. Even the week after a trim... i used heat protectants, but there’s only so much these can do. This hair dryer had made my hair so much healthier feeling. I’ve just packed away the straightener. It dries my medium thick, long hair in under 10 minutes. 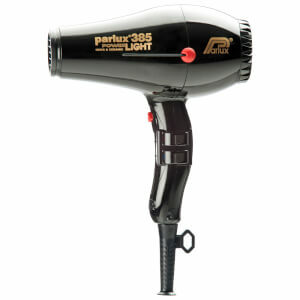 Bought the Parlux 385 in January and have used it daily, was previously another big brand name user but noticed my hairdresser using the Parlux dryer and was impressed with the size and power of the dryer, I am loving this light weight hairdryer it has also done a couple of overseas trips and not missed a beat, very happy with product. I have never bought any fancy hairdryer, since I thought they are all the same. But I decided to invest after I heard a good one could improve your hair condition. I decided to buy this model after few research, and it does works wonder. My hair never look so good after drying it, love this so much! Just received my new hairdryer today after placing the order yesterday. Plugged it in straight away and it appears very powerful. Great colour and extra long cord. Nice weight and feels comfortable in my hand. Cant wait to dry my hair with it in the morning! Very good quality hair dryer, fast dry and leave my hair sleek. Easy online ordering with flexible payment option, well done RY.com.au! Even my daughter falling in love with it as normally she refuse to dry her long hair after wash, thank you! Best & cutest hair dryer on earth !! Ok call me crazy but I seriously look forward to using this hairdryer. I've had it for a few weeks now and love the light weight design and the power of this little machine. It dries hair fast, has a cool setting and is so much better than my old Vidal Sassoon. The VS hairdryer was only a couple of years old (and rarely used cos I spent 18 months of that time living on a tropical island so hardly blow dried my hair!) It had started to have a really bad electrical burn smell, so I started my research, made my decision and purchase and then awaited delivery very eagerly. 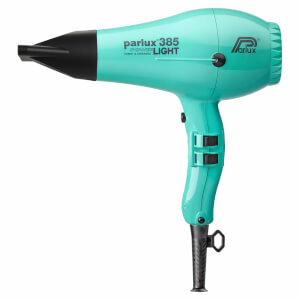 I'm so glad I chose this option - the other one I was looking at was the GHD air or aura I think but I'm so glad I went with the Parlux - especially after using the GHD at the hairdressers on the weekend. It's cute, pink and my favourite new toy! It was well priced and I look forward to a long and happy hair life with it! It finally dawned me on that since I spend serious money on getting my hair cut and coloured, it was ridiculous for me then to use cheap products to undo all of that work. This is by far one of the best investments I've ever made as far as beauty products go and one of the few times the hype is true. I'm definitely not a pro when it comes to properly blow drying my hair but since I've started to use the Parlux, my fine, sometimes frizzy hair looks closer to a proper salon blowdry than I've ever achieved and with A LOT less effort and time. Never going back. Seriously amazing, I was expecting it to be pretty good based on other reviews on here & by friends. But it's way more amazing then I could have expected. I have quite "frizzy" hair when blow dried, so I expected that to happen... but it didn't! My hair was smooth and bouncy, so it cut my straightening time in half!